It had been a balmy, yet colorful fall in 2012. 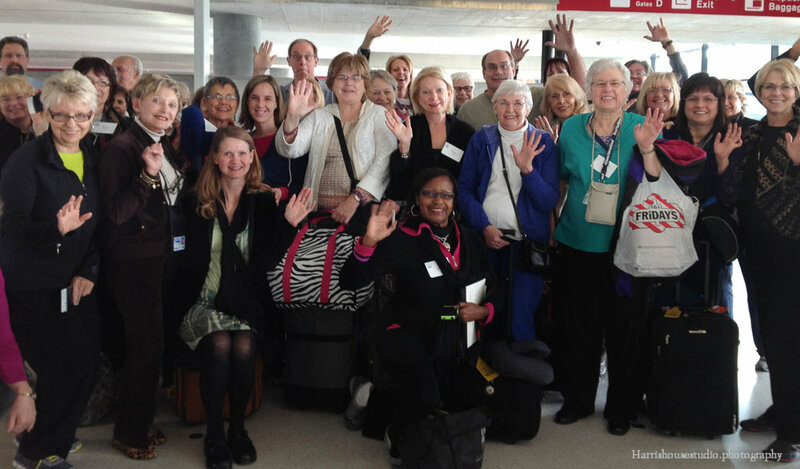 The Unity Travelers were preparing for our biggest and most exciting trip to date – Italy. All the documents were done, everyone was packing and re-packing when some distant news came about a hurricane in the Atlantic making landfall in the Dominican Republic. Named Sandy, she bounced back out into the ocean rather than making the turn and heading into Florida’s shores and her force was downgraded to a tropical storm. Yet, this was not to be the end of the Sandy story, as she suddenly swung to the west, rebuilding in speed and power heading straight toward New York City and the densely populated coast making landfall Monday night, Oct. 29. Hurricanes are large lumbering things, moving slowly and stalling as they deposit large amounts of water and blistering winds. Our flight was scheduled out Wednesday, Oct. 31. In a blink of an eye our entire trip was being threatened as airport after airport on the east coast was shutting down and sending planes to hide until after the storm wave passed. Anxiously we waited for news, JFK was scheduled to reopen on the morning of Oct. 31st. At 6pm, Oct. 30th, we received the alert through our various carriers. No, in fact JFK would not reopen in time to receive our incoming flight at 1pm. Suddenly, with thousands of other displaced travelers, we were scrambling for a seat – any seat – and a way to get to JFK. Delta sent some of us to Hartford, CT and we took a transport into the City. Some went to White Plains, NY, Allentown, PA, and some got lucky when Delta was able to get an extra plane on the route at 1am, the morning of Oct. 31st. With very little sleep, we headed out of Tulsa. Of the 46 scheduled to go 37 of us made it through and arrived at JFK in the early evening, still uncertain if we had a flight. Suddenly the announcement came – Air Italia Flight to Zurich is now boarding. We were the only international flight that left that night. To this day – those of us who made that trip are refered to as Sandy Survivors!